AFC Bournemouth sealed a Carabao Cup quarter-final place with a back-and-forth 2-1 home win over Championship side Norwich City. After a slow start Junior Stanislas lit up the game ahead of half time with some wonderful footwork followed by a rasping shot to see the hosts ahead at the break. Norwich came out fighting in the second half and grabbed a deserved equaliser when Onel Hernandez finished smartly in the box, but Steve Cook soon turned home a loose ball at the other end as the Cherries quickly regained their advantage. 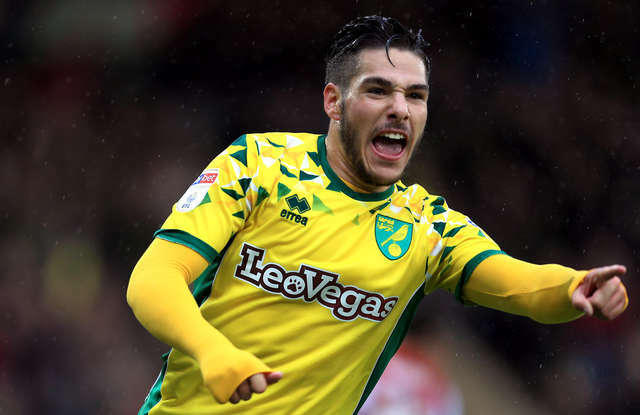 The match was even throughout with Norwich not making the most of their chances, though that mattered little to the home fans who watched their side see out a nervous finale to move into the final eight of the cup competition. There were eight changes to the Cherries' line-up from the win at Fulham in the league at the weekend, with eyes also looking to the bench and the four academy graduates hoping for a chance to come on in Mark Travers, Jack Simpson, Kyle Taylor and Nnamdi Ofoborh. Following a minute's silence to mark the tragic helicopter crash after the Leicester City game on Saturday evening, the game got under way in chilly but still conditions at Vitality Stadium. Five minutes in and the first big chance fell the hosts' way. Jordon Ibe played in to Marc Pugh whose ball across dropped to Jermain Defoe. The striker connected crisply but directed his effort inches wide of the upright. The half continued between two evenly-matched sides though the contest was struggling for energy at the half-hour mark, though with the tie meandering towards the interval Stanislas injected life into the affair with a much-needed opener. The winger received a pass from Defoe and entered the box with defenders in front of him. A series of quick step overs manufactured space and a powerful high strike beat 'keeper Michael McGovern to give the Cherries the lead. Striker Dennis Srbeny could have levelled ahead of the break when a pass set him free but he struck only at Artur Boruc's chest and the home side were able to clear, Mario Vrancic also going close with a shot pulled off target. There was still time for a third great Norwich chance, Srbeny the danger man again as from an angle he shot across Boruc but saw his shot rebound back off the inside of the far post, Bournemouth more than happy to hear the referee's whistle moments later. The increased speed which ended the first period carried over into the second, the Cherries winning a free-kick which Stanislas swerved into the wall, Passlack then skimming a shot a yard over the bar. Ryan Fraser entered the fray for the final half hour, but the Canaries were moving into the ascendancy and Vrancic's 21-yard strike deflected kindly into Boruc's grasp as the visitors' push for an equaliser intensified. The Pole was soon down sharply to parry away Hernandez's powered shot to the near post, the German's strike a precursor to his goal in the 70th minute. A scooped ball into the depths of the area was latched onto by Hernandez who pivoted sharply and had the presence to turn the ball home from eight yards, Norwich good value for their leveller. The Canaries' parity lasted just a matter of moments however, as Cook restored Bournemouth's lead. A corner bounced into the path of Pugh at the back post and while his effort didn't make it through the crowd it did pinball perfectly for Cook who managed to ram home his second of the season through the same encampment of bodies. Back on the attack at the other end, Vrancic's free-kick was well held by Boruc, though the game was now full of life and Stanislas's curled effort from the box's edge was only a yard or so too high as it dipped. Still pushing, Hernandez fired into the side netting, the away section thinking he may have scored, ahead of the fourth official hoisting his board to indicate seven minutes of additional time to add on. Hotshot substitute Jordan Rhodes seemed certain to level matters for a second time when he was clear to connect with a cross from the right but his header passed criminally wide of the post, the gilt-edge opportunity the Canaries' final chance to take the game beyond 90 minutes. After home wins against MK Dons, Blackburn Rovers and now Norwich City, the Cherries head into the Carabao Cup quarter-finals for the second straight season. The draw to determine the Cherries' last-eight fate will take place this Wednesday after the conclusion of the fourth-round match between Chelsea and Derby on Sky Sports, with the next round's matches set to be played the week commencing December 17th. You will be able to find out Bournemouth's draw here on our official website as well as across our social media feeds.